This award is available to all Radio Amateurs who submit evidence of having worked 100 approved current entities using the DIGITAL modes [RTTY-PSK-SSTV-etc...]. 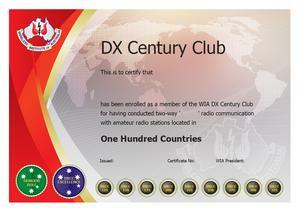 Contact & Confirm a minimum of 100 DXCC entities on any Digital mode. WIA "Honour Roll" achievement is available for 331 entities confirmed. 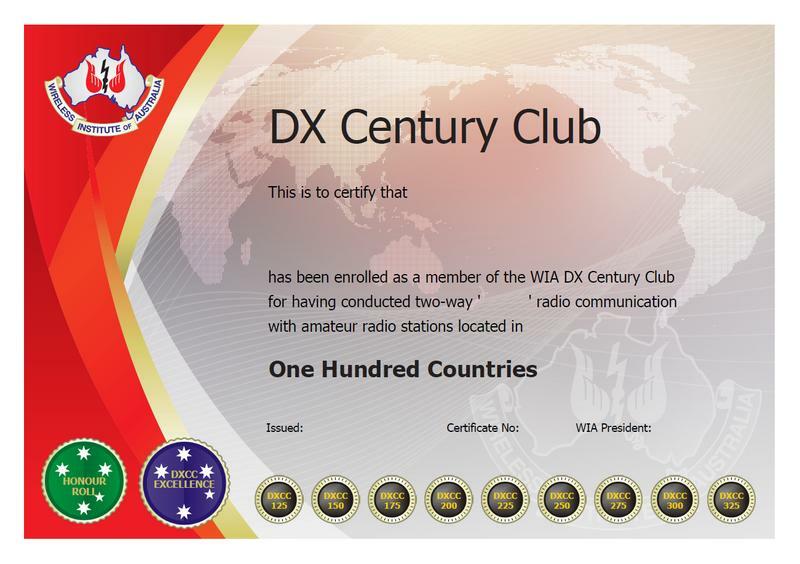 WIA "DXCC Excellence" achievement is available for working & confirming all current entities.